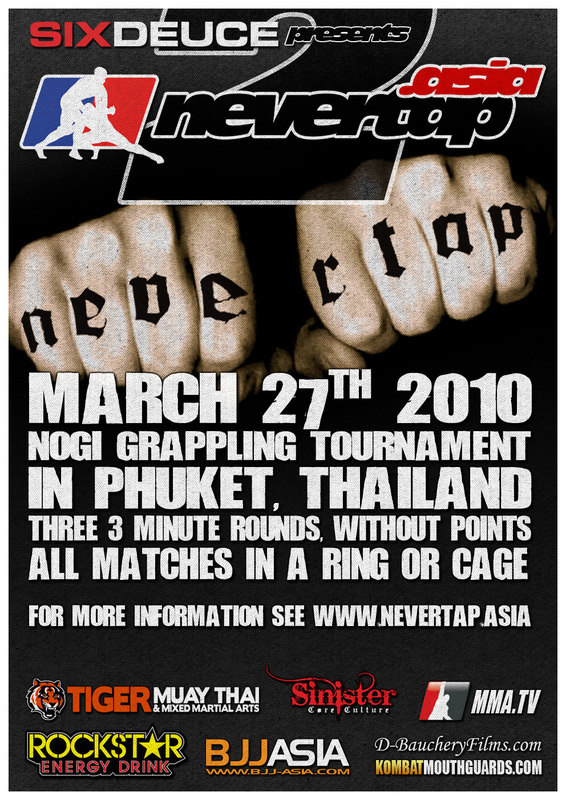 T he 2nd annual Nevertap 2 Asia Tournament returns to Tiger Muay Thai and MMA training camp, Phuket, Thailand on March 27, 2010. After last year’s success with the No-Gi submission grappling tournament, we are looking for a good turn out this year. All the matches will be held in the cage or rings in a no points “rules” with referee. Trophies, Medals, Awards for top 3 places in each division.